As many have read on these pages, a few wine events have come and gone, – with the last one happening in NY, at the City Winery, this coming Monday. Over the past two years, the Jewish Week/City Winery event has really changed its stripes and has improved quite impressively from the previous years. The Jewish Week’s kosher wine list for Passover is nice, but you will not find many of their favorites on this list. As I walked around both KFWE this year, and sommelier – I was asked again for a list of my top kosher wines for Passover, so here it goes! 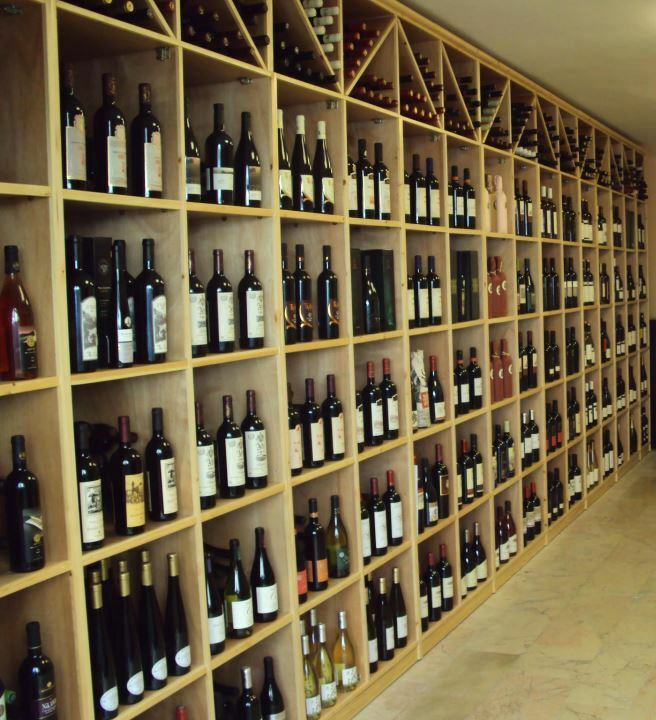 This is my list of great and reasonably priced kosher wines. So, with some weeks before Passover – here is my list. A few caveats first, this is MY list! This is not a list that will make many happy. These wines are the wines that make me happy. No wines here would be considered over ripe, over sweet, or all over the place. The wines here are listed in the order of cost. That said, the top line wines – what I call Top Flight wines, are not defined by cost at all. In that list, you can find a 2009 Yarden Blanc de Blanc or the Yarden Brut Rose, both are great sparkling wines. At the same time, the list includes some of the best high-end kosher wines I have ever tasted that go for $100 or so a bottle. The list of Top Flight wines are ALL wines that I would buy without hesitation, no matter the cost (if I can afford it of course). Passover is a time of year when Jews buy the most wine, along with Rosh Hashanah, and the American New Year. That is why all the kosher wine events happened a month or two before the Passover festival. It gives the wineries and distributors a chance to showcase all their wines that each appeal to different market segments. So, no there are no sweet or semi-sweet baseline wines here. There are many very good 15 or so dollar bottles of wine, that can be bought at Skyview Wines, Gotham Wines, Suhag Wine, and all the other wine stores I have listed on the right-hand side of this blog (as always I NEVER make money from them and I never know or care what people buy, the list is whom I buy wines from and so I can recommend them to others). Also, the amount of money you spend does not define the value or quality of the wine. Take for example the less than 20 dollar Capcanes Peraj Petita, or the slightly more expensive Herenza Crianza, and many others. These are great wines and the price is only an added benefit. However, there are many low priced wines that are not on this list, as they lack the quality required, IMHO. Seeing the list and checking it twice (could not help myself), I am sure there will be a question – what defines a wine as a Top Flight wine and why are there wines that are not on it? The Top Flight wines, is a list of wines that personally was wowed when tasting them. That does not mean that the Peraj Petita, as wonderful as it is may or may not compare to another wine on the 50 dollars and above list – that would not be fair. What it does mean was that when I tasted it, I was wowed, and I said this is a wine that everyone should get – no matter the price. In the end, this is not about which is better than the rest it is a way to whittle down the list of wines that I enjoyed from a massive set of thousands of kosher wines available here in America. That is why I made the list. In hindsight, I am sure I will have missed some wines. If you do not see a wine you love and it scored an A- or higher on this blog somewhere, then I can assure you that it was probably an oversight on my part. Also, this is a PSA – please do not buy 2015 rose wines! PLEASE! They are muted and a waste of your hard earned money. Wait for the 2016 Roses that will be released soon. Finally, it is our custom to drink four cups of wine on Passover, but to power down these wines is far too hard for me. I rather decide to drink simple wines like the Tabor Via bubbly red, non-mevushal wine. It is simple to chug, tasty, and perfectly fulfills the custom. For the main course, I am happy to open a Top Flight wine and enjoy that at a calm and enjoyable pace. Another option is to get some of these great glasses from Stolzle, that fulfill the official four cups requirements in terms of volume and respect, according to most Rabbis. The glasses hold 3.5 fluid ounces of wine, which according to almost every source fulfills the concept of Revi’it. It does not fulfill the Chazon Ish’s requirements of 5.1 ounces, but if you wish to meet that requirement use these glasses from Arc International. Also, remember that the first cup should be drunk in totality, according to most authorities. A few more comments here. I hope I have gotten all the wines that I have tasted here, but I almost posted this a few times, and then only at the end did I remember I forgot a few. Also, this year’s list is not as long as last year’s lost, because 2015 in Israel was a total disaster, outside of a few winners. The reds from 2015 in Israel, are showing well from the best wineries, but that list is short. Lastly, while the 2015 Terrenal wines were nice on release, at this point they are too sweet and past peak for me. The new 2015 Herzog reds and whites are nice and are on the list for their mevushal status and cost. In the end, these are my picks, they are easy to find and in my opinion, really good. There is also the Jewish Week’s list and Yossie Horwitz (of Yossie’s Corkboard) also comes out with a list. So there you have it – enjoy good kosher wine for a reasonable price and enjoy the Passover holiday for what it should be, which is enjoying time and our heritage with our families! Happy Passover to you all. Post what wine you will be enjoying, I would love to hear from you guys on what you will be drinking throughout the holiday! 2014 Chateau les Riganes (mevushal) ONLY 2014 – NO 2015! 2013 Four Gates Merlot M.S.C. Posted on March 20, 2017, in Israeli Wine, Kosher Dessert Wine, Kosher French Wine, Kosher Red Wine, Kosher Rose Wine, Kosher Sparkling Wine, Kosher White Wine, Kosher Wine, Wine and tagged best kosher wines, top kosher wines. Bookmark the permalink. 22 Comments. What do you thing about Terrenal Wines? There are below 10 dollars and you have Tempranillo and Malbec, mevushal and not mevushal. Hi, this is great as always! Was wondering why you have specifically excluded the 2014 Castel GV from your list? Yeah, it was the first GV i have ever tasted that I was not a huge fan of, or at least a very good fan of. Sadly, 2014 is neither, IMHO for me. As I stated my list if for my tastebuds. Go taste it at a pouring and see if u like it! For the kishor, did u mean the 14? Also, ehud winery – is that haroe winery? Gachot Monet made 4 kosher wines. The Bourgogne and the 1er cru are very good, the other two; Cote de Nuits-Villages and Gevrey-Chambertin, were not as good at all – I did not buy those. What’s your opinion on any of the Carmel limited edition vintages? Any of them worthwhile? I was going to put the 2011 LE on the list, it is fine, but not a wine I invest in personally. The best was 2008, but that is shmita wine. Other than that, none I would proactively find or buy. I hear ya. Same story with segal’s unfiltered? Worse, far worse on the unfiltered. I can’t find the 2014 Capcanes Peraj Petita, just the 2015. What is your opinion of that for a duck dish for the seder? Sadly, I have yet to taste the 2015. You can still get the 2014 from Skyview and other places. Thats aid, 2015 will probably be a safe bet, but will need some time to open. The 2014 was more accessible by nature of the vintage in Spain. My local store currently has the 2014 Capcanes Peraj Petita Rosat in stock. How would you rate that one? Seems like all the other Capcanes offerings are recommended, except for the Peraj Petita Mevushal. Thanks.